If you’ve come to Tirana to see the sights then you’ve probably mixed the city up with somewhere else. Boasting little to compare with the likes of London or New York, the Albanian capital’s strengths lie in its vibrancy and the warmth of the people who live in it, qualities many better-known European cities lack and that Tirana possess in abundance. 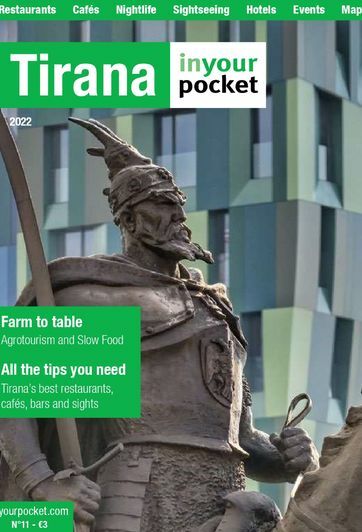 Tirana is very much a city for the flâneur, a chaotic urban concoction, bursting with unexpected sights and sounds that are best appreciated whilst strolling its streets and courtyards in a leisurely fashion. Having said that, the three sights you’ll kick yourself for not visiting when in Tirana are the Et’hem Bey Mosque, the National Art Gallery and the National History Museum. Allow a maximum of 30 minutes for the mosque and at least an hour each for the gallery and museum.